* The transaction fee is £1.50 for Box Office Collection or £2.50 for Standard Delivery. 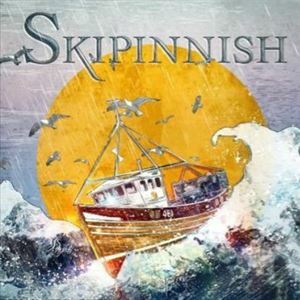 Skipinnish encompasses the very best of contemporary Celtic music with a unique and sublime mix of chart-topping, self-penned songs and powerful bagpipe, fiddle and accordion-led tune sets. As a result, the band has built a loyal and strong fan base since its formation, by co-founders Andrew Stevenson and Angus MacPhail, on the Isle of Tiree in 1999. It has evolved into an 8-piece that has been named Live Act of the Year on two occasions at the Trad Music Awards and gained widespread recognition with the 2017 album The Seventh Wave. Skipinnish’s wonderfully evocative song writing coupled with the boundless energy of the live shows continues to captivate audiences throughout the UK and continental Europe.